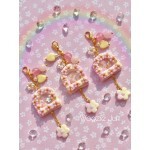 Handmade, Pastel Sakura Fairy Door Shaker Planner Charm or Key Chain. This charm comes with a lobster clasp attachment on a gold effect chain with a selection of beads & pearls as decoration. 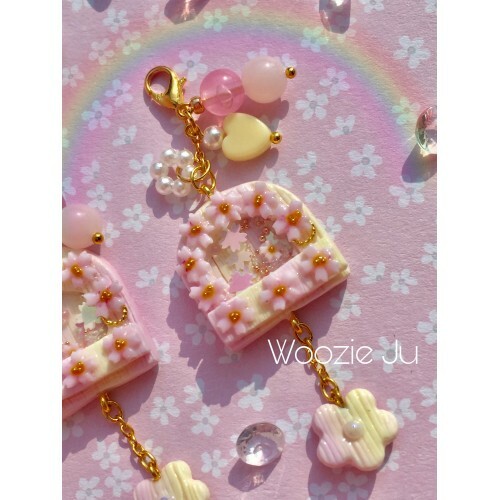 Everything you see behind the window section moves & there is a tiny handmade clay Sakura inside too. 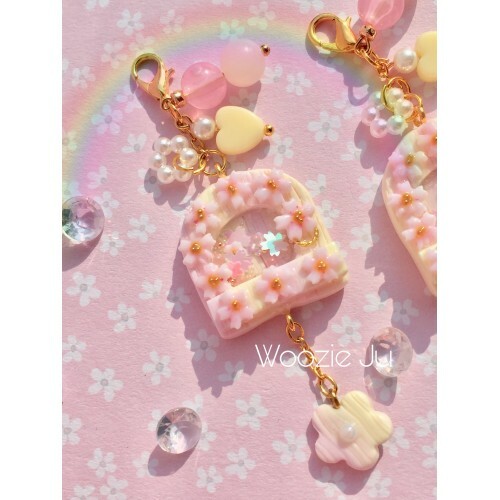 Length of complete charm approx 9cm. 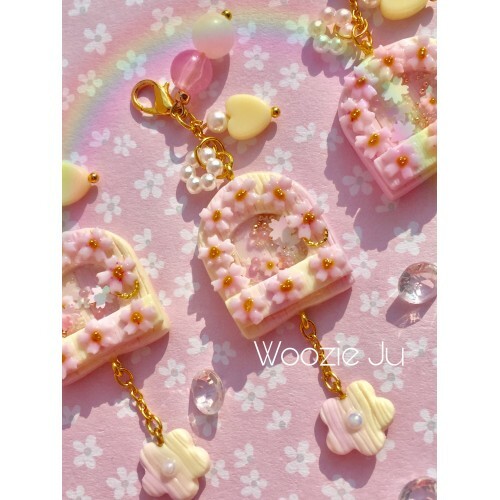 Fairy Door size approx 3cm. PLEASE NOTE This is for one charm only. 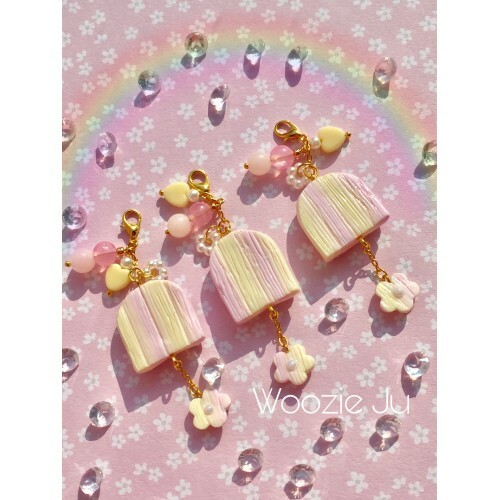 Handmade, Pastel Sakura Fairy Door Shaker Planner Charm or Key Chain. This charm comes with a lobste..